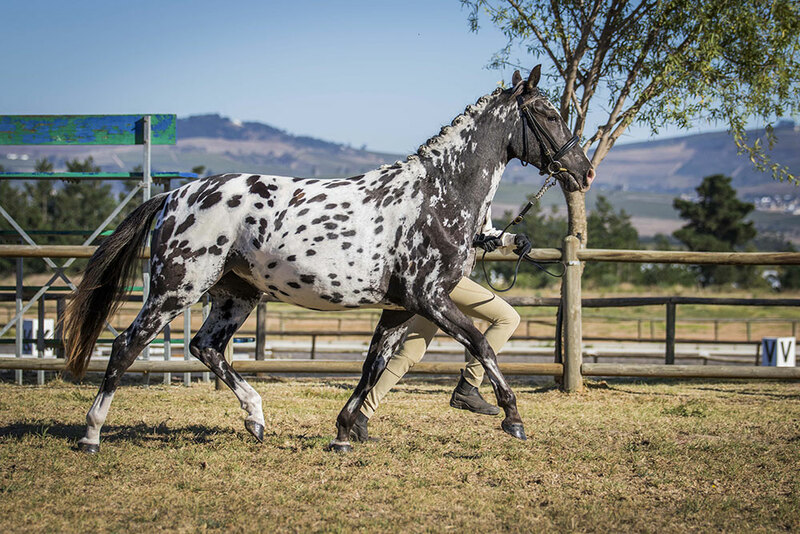 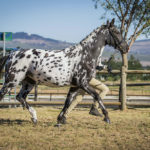 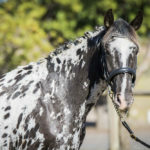 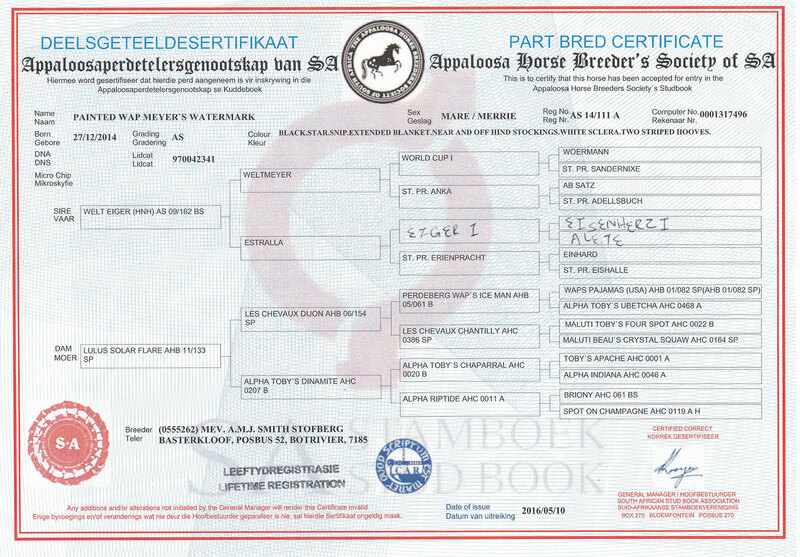 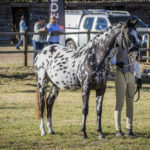 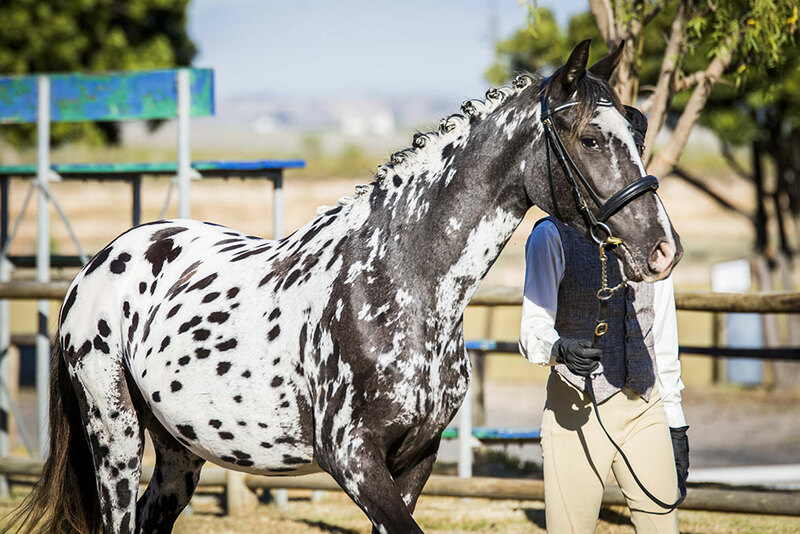 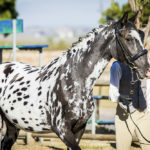 A 15.3hand black near leopard with some solid sport horse breeding! 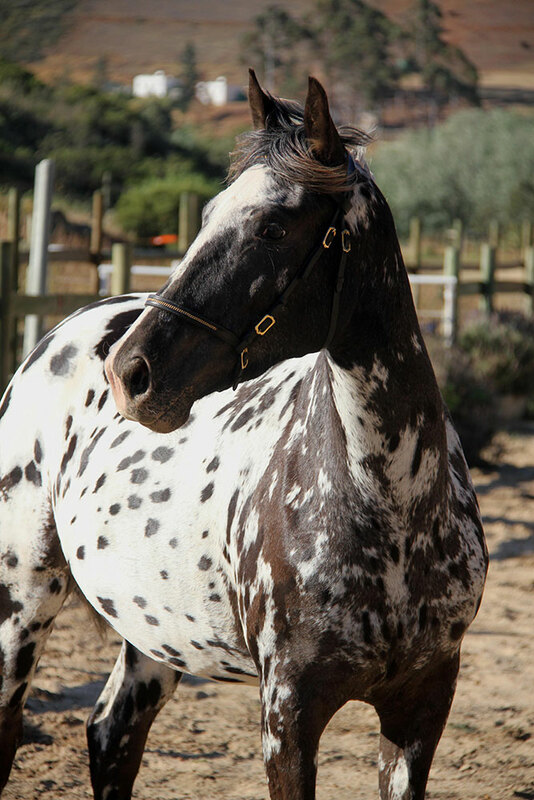 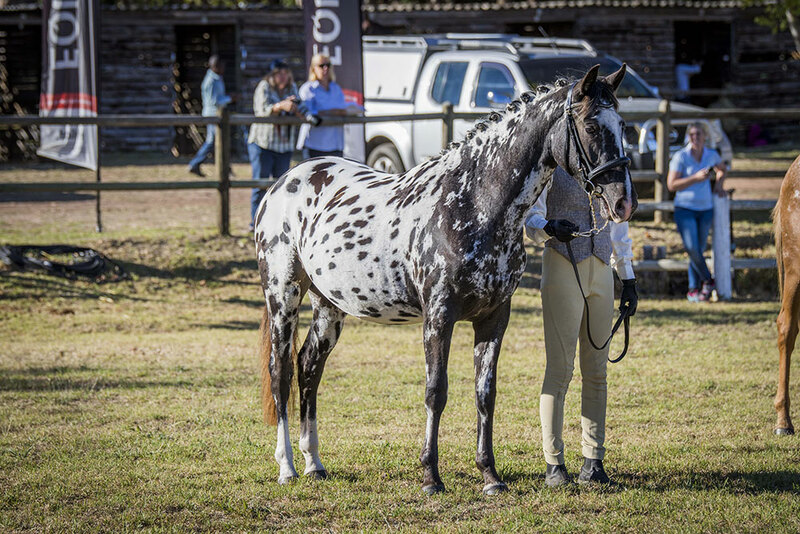 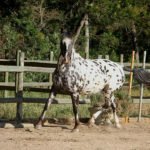 She is by Welt Eiger (Imp HNN) out of a South African foundation bred appaloosa mare (Waps Pajamas/Dolls Toby). 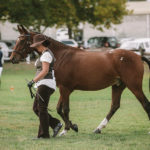 She is very correct and very athletic although more of a stockier type. 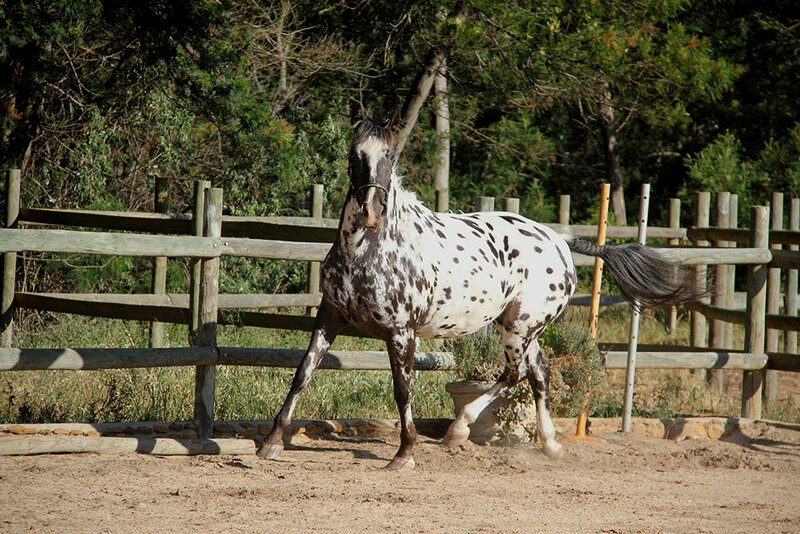 She is very bold, expressive with a huge personality. 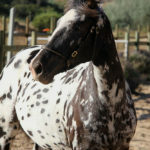 Easy to work with, but very specific in her work routine. 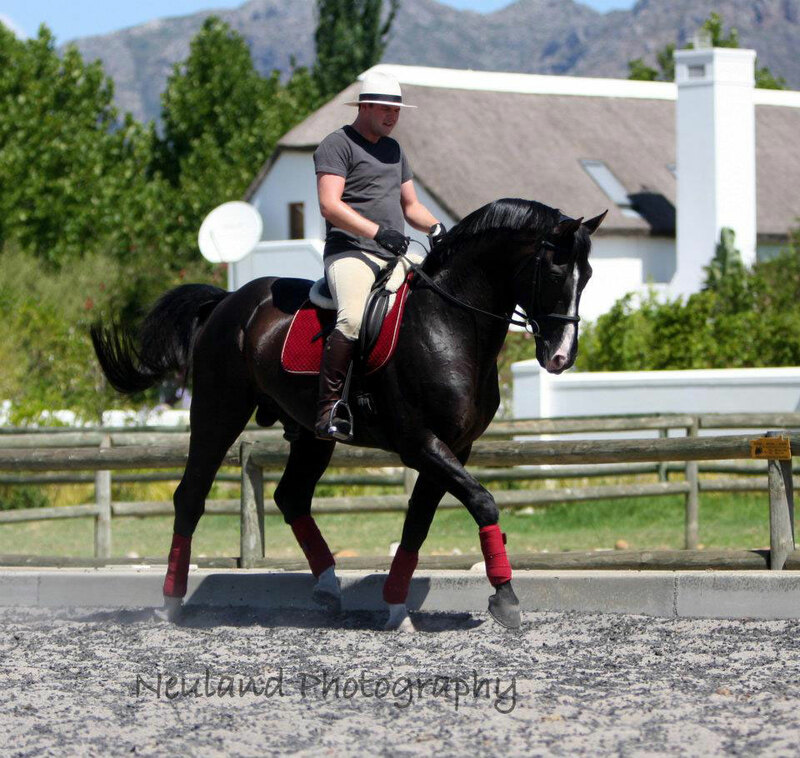 A perfect candidate for classical dressage higher grade movements and at liberty work. 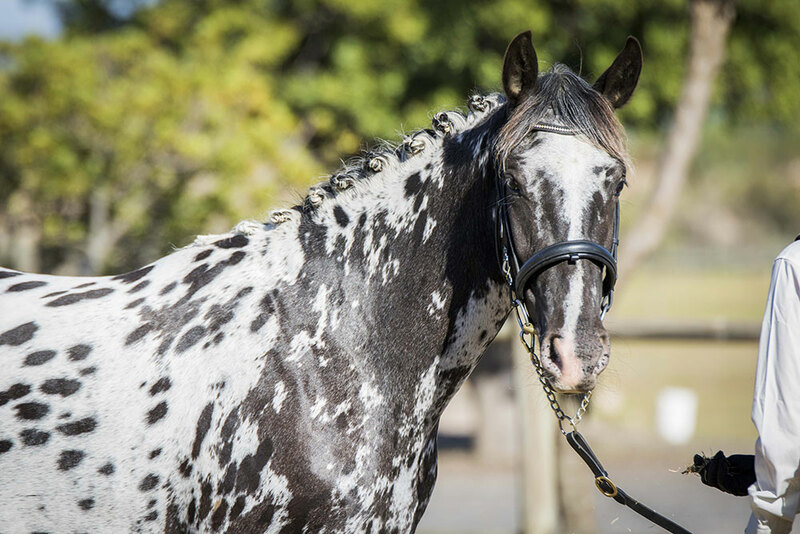 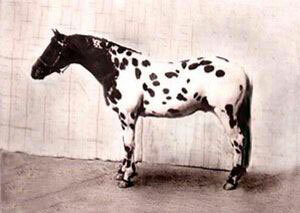 Welt Eiger (HNN Imp Germany); A 16.2hand black Hanoverian stallion with white markings. 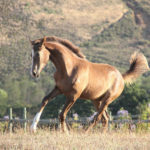 A direct son of WeltMeyer (dressage stallion of the decade) out of an Eiger I (A grade showjumping sire) mare. 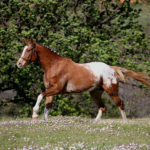 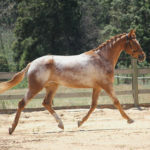 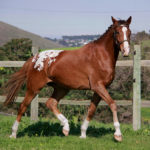 Lulus Solar Flare; A 15.2hand dainty elegant chestnut fewspot mare with good solid foundation breeding. 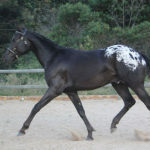 She is by Les Chevaux Dijon (Waps Pajamas) out of Alpha Toby’s Dinamite (Dolls Toby), kind gentle lines. 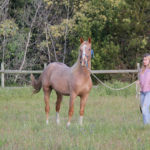 This was the first and only mare of this type that we bought to combine with the heavier old fashioned warmblood type and the result was phenomenal. 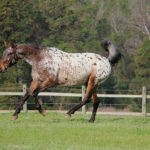 Painted Wap Meyers Watermark will be retained for training and breeding. 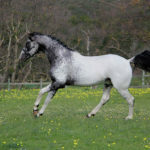 She will be put to our resident stallion, Painted Waps Last Image. 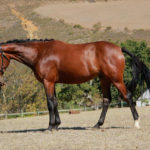 This foal, due date September 2019, will be a great combination of lineage to produce a big Baroque type foal of high value for ridden and at liberty work. 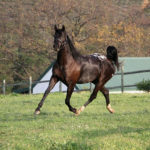 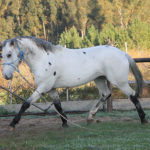 Will be retained by stud to train and will only be available to a home that can continue the promotion of this horse.